I am trying to come up with a solution - this would be best read by people who have already made a 4 way tentacle. 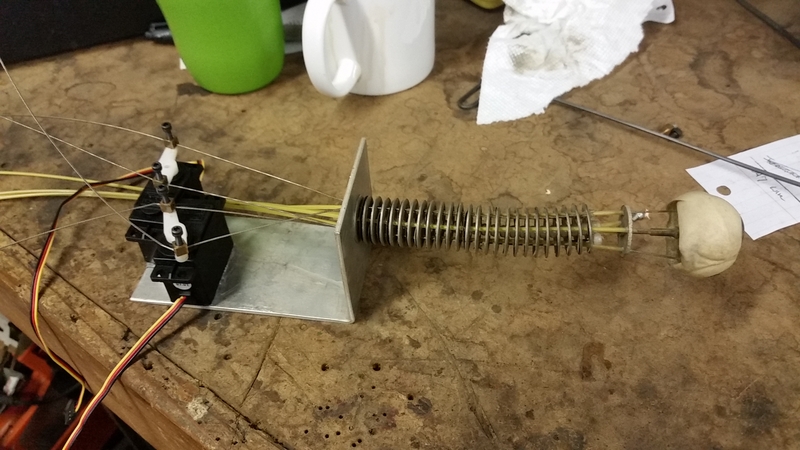 I have been making animatronic tails for a while and now want to change my design. The basic design will be a 4 way tentacle with the disks made of plastic, since getting them with metal is SO expensive. Now - one of the secrets of making the tentacles is to ensure that when the disks are on the speedo cable that the cables are free to run though the cables holes. This means that the disks all have to be aligned. Unfortunately as I am using 6mm thick acrylic to make my disks I have limited options to tap and drill the holes that secure the cable to the speedo cable. Too loose and it will twist on the speedo cable axis. Too much and I strip the thread and ruin the disk anyway. I am loathe to drill a larger hole and put in some kind of metal tube with the threaded hole in it as either that will be too heavy/costly/unable to take locking strain. Yes I could use locktite or another bonding agent but I still want to fine tune the tentacles either bu moving the disk up or down, or at a later stage enabling the buyer to do the same. FYI I approached a local metal fabricator who has laser and water cutters. $85 to tool up, and then $10+ a disk.. I'd avoid metal for the disks if you can, just because it adds weight. One option would be to CNC them out of a lightweight low-friction plastic like nylon or delrin. Or even cast them. The tentacles in the past I've made never had the discs attached to the center. I maintained orientation by having the bottom most disk fixed in place and that seemed to work fine for my application, but your milage may vary. Ok... Bit how do you maintain the distances between the disks on the speedo cable. 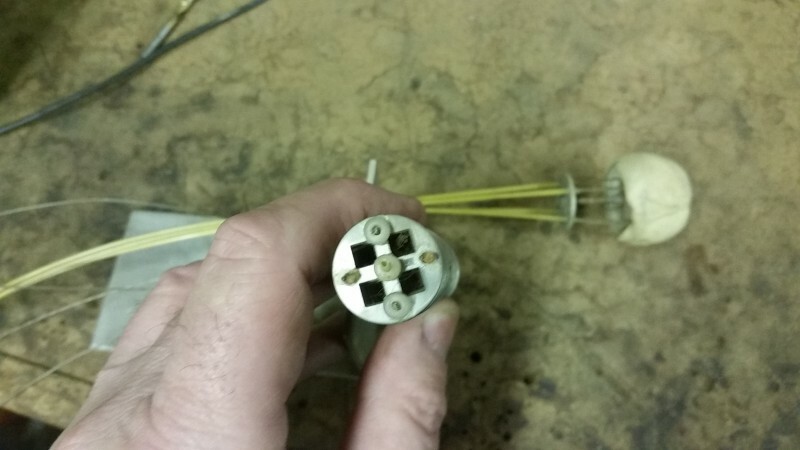 Unless *thinks* one cuts out the brass inserts form wiring insulating blocks and use those. They have 2 screws to go in to a cable.. The unattached disks sound like a great idea to try.. There is a local place called "Recycled Garbage" were I can get all sorts of offcuts of acrylic so making disks is pretty easy with a bench drill, hole cutter, and drilling rig. Given an afternoon I can cut about 50 disks if necessary. Each disk has a half sphere on the bottom, and a conceived dish on the top so they nest in a way that allows them to move like a ball joint. Then there's a ring around the outer edge with 4 holes for the left/right up/down cables to pass through. Otherwise you can space the disks by using short lengths of flexible tubing as spacers. Ack.. *Thinks* Ack.. I'm a Dufus.. Many thanks for that. I have no prob imagining the spacing system. In fact you would not need the speedo cable at all.. Many thanks for that. That looks great. I think in the past my biggest issue was following the Tentacle instruction on the video course that had the vertebra bolted to the speedo cable that that was my biggest issue. It seems that letting the disc freespin on the speedo and letting the outer wires act as the guide work much better. I've seen people 3d print the discs, but I don't really have the money for that. (at the moment) However, there is this site where you can get cast-able materials from. It's called www.smooth-on.com, and I've made good use of their stuff before. In the summer of 2012, I made a green-lantern ring with this method. What I did with mine was to get a simple hole saw - like below and then grab some discarded acrylic or perspex and start to cut discs. If you make a 'Master' one where you have the holes for the cables perfectly placed then you can use it like a template. A drill press (or steady hand) you can drill 4 or 5 at a time. Chat with a local plastics fabricator re offcuts and you can get some 3 to 5mm thick offcuts for playing with. Bike cables from eBay or your local bicycle shop will do the rest. The beauty of the designed above is there you so not need to use speedo cable as they are self aligning. Also get some thin PVC tubing for the spacers etc. Hope this helps - I am always building things out of scrap or on a budget. Oh if you want the Dr-Oculus look then raid the local bead shop and superglue then on to theperspex. I use hole saw as well!!. have a kit very similar to the one pictured. Depending on the project and budget, I use either plastic or Basswood for the vertebra. I also have found in some local hobby shops a thin, three ply plywood that works great for these types of applications. I see no need to 3D print circles, there are pleanty of cool materials out there to choose from. Delrin is great if you can afford it! For cabling, I use either Goldenrod radio control airplane cable (they come in different diameters) or have gotten heaver stuff at McMaster-Carr. Also, if I have a lot going on on the tip of the tentacle and need more control cables, I drill additional holes in the disks centered between the main cables to run more control cable sheaths. Hope that makes sense. The animatronics for the Dr. Oculus character look great. Hope you can share the finished character here! Chris, THANK YOU and I will post! I need to work on the prototype a bit more and figure out some of the movements. Trying to incorporate some "squash & stretch" in the main stalk (not just sideways and back & forth") as well as full eye movement, upper & lower lid and neck tilt (well, EYE tilt!) Will be sculpting machetes and "studies" soon to get a sense of scale & character and to pull molds. As a side note, I enjoy the DVD classes because they have enhanced & validated my own experience and skills. Thanks again! This is great! Hey, for the speedometer cable, do I have to use set screws to clap the vertebrae in place, or can I just use epoxy? I have used epoxy and CA to attach vertebrae to speedo cable. I all depends if you plan on taking it apart for modifications or servicing. Hey, anybody know what the smallest 4- way tentacle mechanism ever machined was? I think the "Eye Bush" in Labyrinth was pretty small. That's Cool! I mean, what diameter discs were used in the smallest! Ever seen a tentacle with 1" discs? These are about an inch in diameter. Hey Chris! Just one question! If I wanted to look for Speedometer cable on McMaster Carr, would it be listed as rotation-resistant wire rope, or as something else all together? Joseph: Here is a company that was mentioned in one of the lessons that sells Speed-O cables. To be honest I'm not sure if McMaster Carr would have speedometer cable. I always, grab that stuff from automotive parts supply places because it'll be cheaper there. Also, with the push/pull cables David linked to on McMaster. Those are super nice (and super expensive). 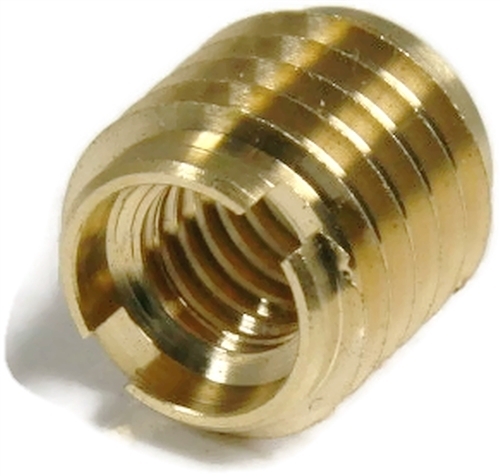 Many of their components are intended for industrial use and are very high quality and precision engineered. It's pretty common for industrial equipment to be manufactured with select parts off McMaster so when it comes time to replace or repair something the end user orders from them rather than the equipment manufacturer. Because of that many of the components on McMaster have very specific lengths/dimensions/tolerances/etc, and the prices can be rather high. I would only get those if you have a client covering the cost! That said, I order from McMaster all the time because of their amazing selection and next-day delivery. Here in LA I've even ordered parts before bed and woken up to find them at my door the next morning. But there are some things that are just cheaper to get elsewhere. I know I'm late to the party and you've probably found an alternative solution, but in the event you do want a robust thread in a non-robust material, you can get thread inserts, also called thread repair sleeves relatively cheaply, which are very lightweight. They often have an external thread and an internal thread, so you can drill and tap a larger hole, then glue or loctite the insert into place. Other variants are simply press-fit into place. The press-fit ones are probably more expensive though as they have a knurled shank.